Posted on Wednesday, August 5th, 2015, by Brenda Pottinger under Misc..
St. Mary’s Cathedral Basilica of the Assumption is a beautiful church with great stained glass windows. 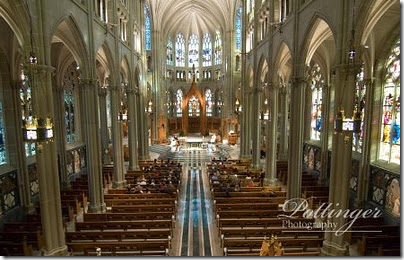 Here in the Cincinnati we are blessed with so many beautiful churches. Go just about anywhere around town and you will find churches with great architecture and history. Back in the day, when I was planning my wedding, I had to look for a church. My home church was not big enough for my guest list so I had to start a search. When looking for your church there are a few things to consider. Also, some of the answers to these questions may impact the photos that we are allowed to capture of you on that day. (For instance, if we are only allowed in the back it is a lot harder to capture those super tight close up photos.) It also helps for planning your timeline for the day. How early may we be in the church (will there be another wedding that day or a church service before our ceremony)? If it rains can we come early? 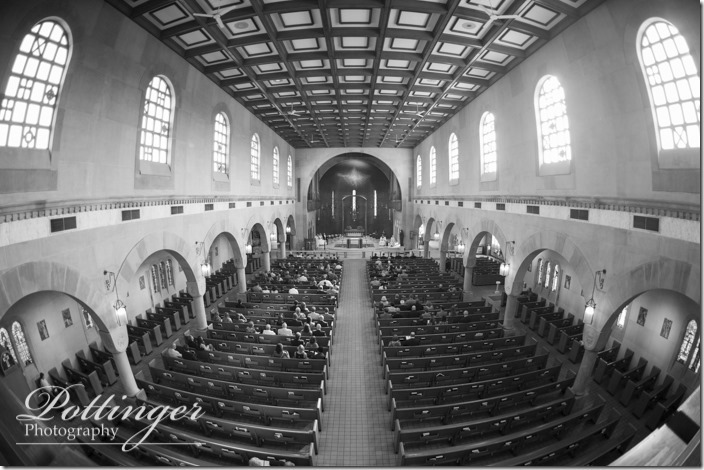 If you have any questions about churches that we have photographed in, please do not hesitate to contact us! Happy church hunting.